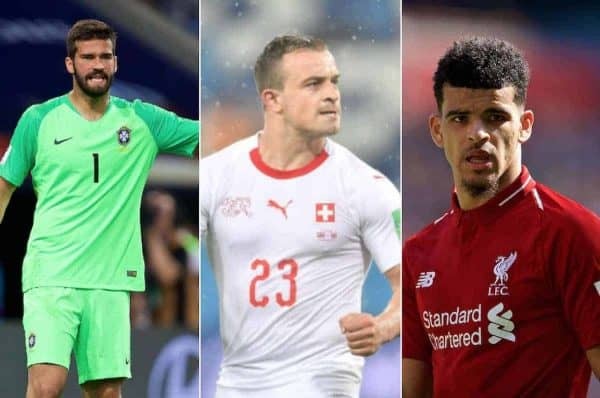 We round up the latest Liverpool FC news and transfer rumours on Thursday, with Sadio Mane, Jordan Henderson and Trent Alexander-Arnold all in World Cup action today. Shaqiri To Sign After World Cup? 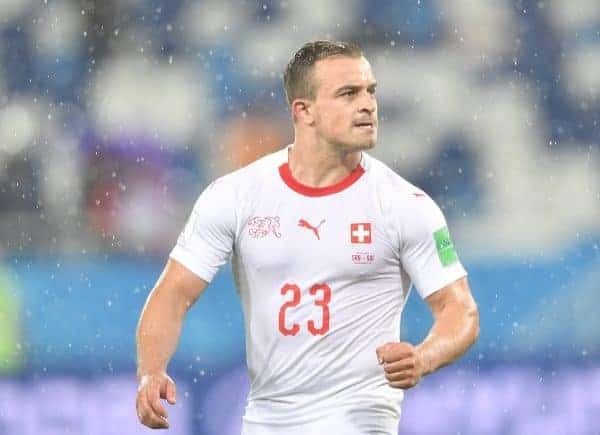 Xherdan Shaqiri is enjoying a productive World Cup with Switzerland and his future has been the topic of much conversation back in England. The 26-year-old will be at a new club next season having confirmed he will leave relegated Stoke City and Liverpool is likely to be his next destination. The Independent believe Anfield beckons for Shaqiri, with his move “likely to be confirmed after the World Cup”. The Swiss star is available for around £12 million and for that fee he’d represent a bargain. He would add quality and depth to wide areas – something that was severely lacking last season – and still arguably has his best years ahead of him. 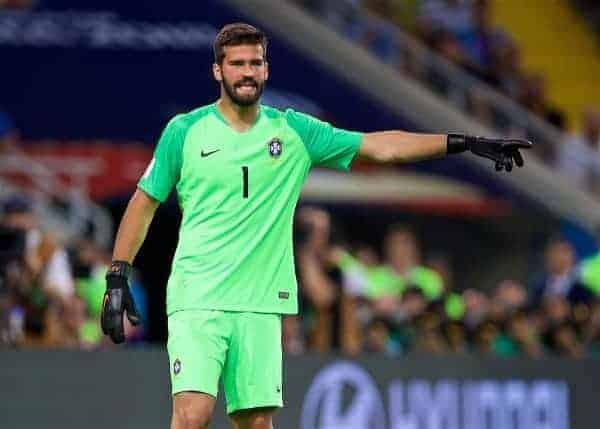 Alisson has been continually linked with Liverpool and Real Madrid in recent months, with the latter thought to be his preferred destination. Roma sporting director Monchi recently claimed no bids had been made for the goalkeeper, however, despite some reports suggesting otherwise. All of a sudden, Chelsea have come from nowhere to emerge as claimed “favourites” for his signature, according to Spanish publication Marca at least. They claim that the Blues have gone ahead of Liverpool and Real Madrid in the battle to sign the highly-rated 25-year-old, currently on World Cup duty with Brazil. The Reds’ interest in Alisson definitely seems to have cooled of late and some iffy performances in Russia have suggested he may not as special as some claim. That being said, it would be a blow if Chelsea signed him instead. Dominic Solanke may have been a Liverpool player for 12 months, but it has taken that long for the Reds to agree a fee with Chelsea for the striker. The Liverpool Echo report that “Liverpool are remaining tight-lipped over the price they have agreed to play for the 20-year-old”. 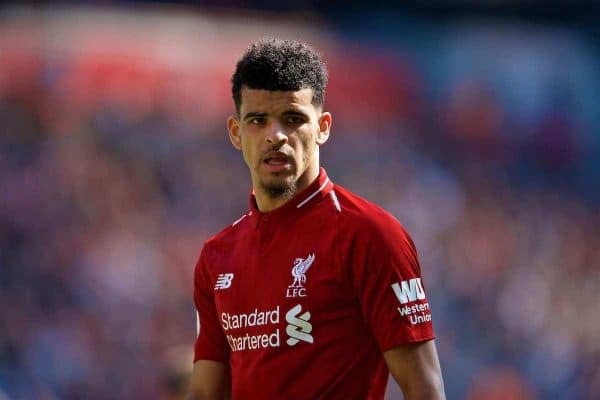 The fee is said to be somewhere in between the two clubs’ respective valuations of Solanke – £3 million and £10 million – meaning there is no need for a tribunal. It all sounds a bit cagey, but it’s good to have the issue resolved. It has been almost two months since Steven Gerrard left his role as Liverpool’s U18s manager, with the Reds’ legend taking the Rangers job. Liverpool have finally confirmed the appointment of his successor, with the club’s official website announcing the appointment of Barry Lewtas on Thursday. “We’re delighted Barry has decided to take up this position. U14s coach Marc Bridge-Wilkinson has replaced Lewtas as U16s boss in another promotion from within at Kirkby. It’s just over a week until Liverpool face Chester FC in their first pre-season game of the summer, with Jurgen Klopp and his players returning to Melwood next Monday. 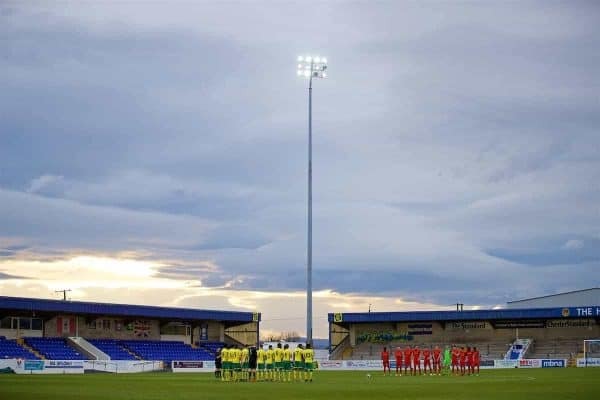 A sell-out crowd of approximately 4,500 is expected at the Swansway Chester Stadium on July 7, with Liverpool supporters allocated the South Stand and Swettenham Chemists Stand. “It is a great gesture from Liverpool and we will receive 100% of the gate receipts. “We have hosted their under-23s and women’s team here and we have a great relationship with them and they have been absolutely first class with us, they really have. “Liverpool also know that they will be playing on a superb surface and that has been a major plus in them wanting to use us time and again and we are grateful for the support we have received from them over this and the gesture of allowing us to keep the profits from the game. Nice to see things like this. 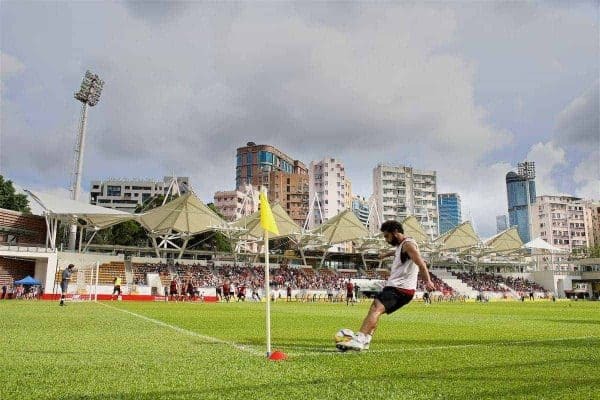 Liverpool have launched a new International Academy in Hong Kong. A qualified Liverpool coach will oversee the development of the coaching programme, with local coaches also given the chance to be involved. “Our International Academies are a fantastic opportunity to bring authentic LFC coaching to children and young people around the world. “This project will provide many opportunities for young players to improve a broad range of skills such as teamwork and communication. 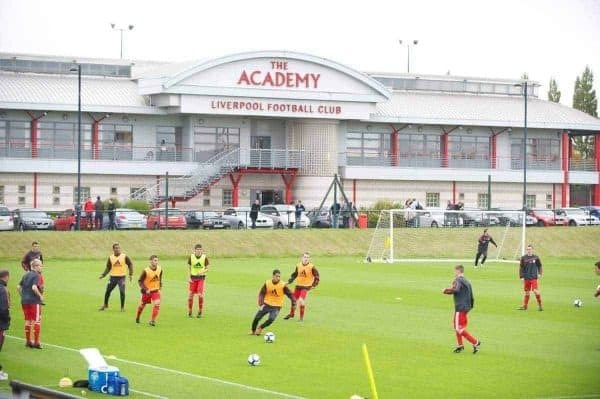 “Alongside the player development element of this programme, coach education is an equally important aspect of the project, which is why we introduce local coaches to the same philosophies and techniques delivered at our very own Academy in Liverpool.